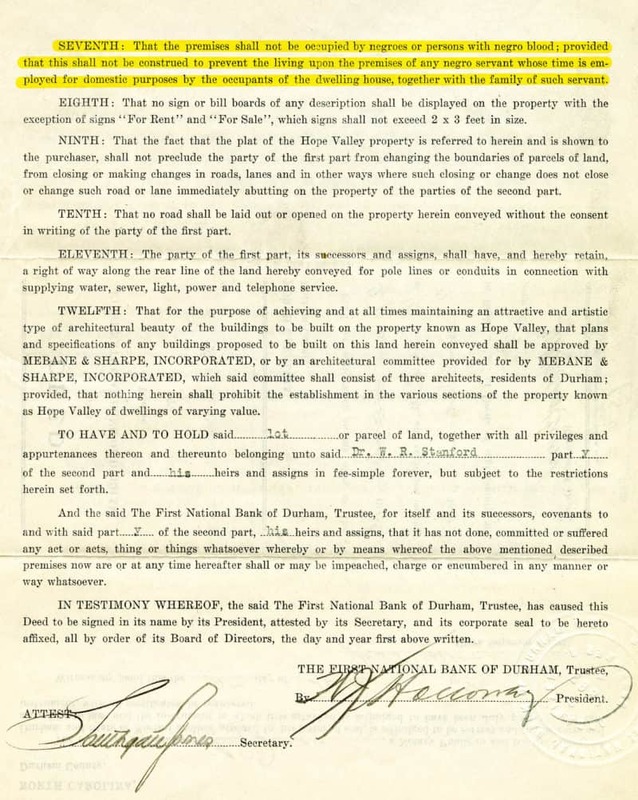 Starting in the 1920s, real estate developers used deed restrictions to ensure that new housing developments for whites were occupied by people of the same race and class. 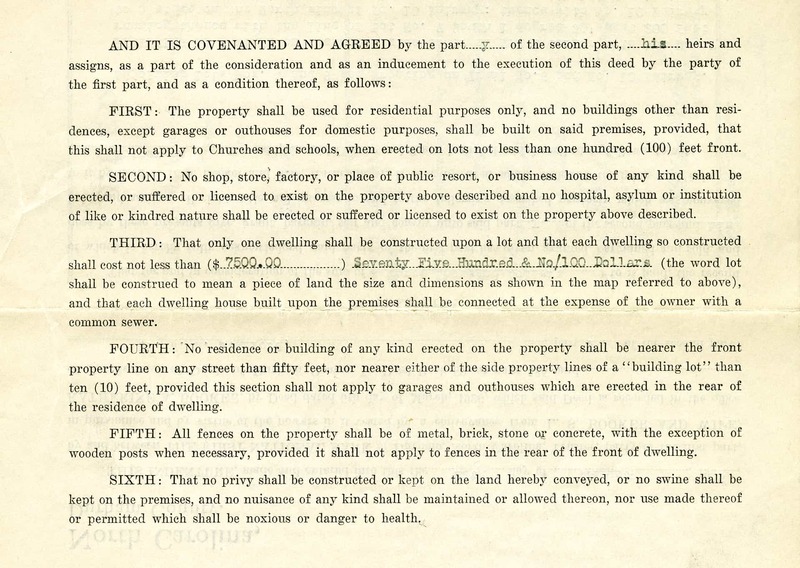 In 1925, Durham adopted its first zoning code. It outlined a plan for the city that emphasized sameness and separation. This 1926 deed from Hope Valley shows the rules for new housing development in the neighborhood. Minimum lot sizes and housing costs made it impossible for working class people to afford these homes. Black people were not allowed to live in the community, except as domestic workers. Other Durham neighborhoods with racial deed restrictions included Forest Hills, Watts Hospital Hillandale, Duke Forest, Northgate Park, and Glendale Heights. 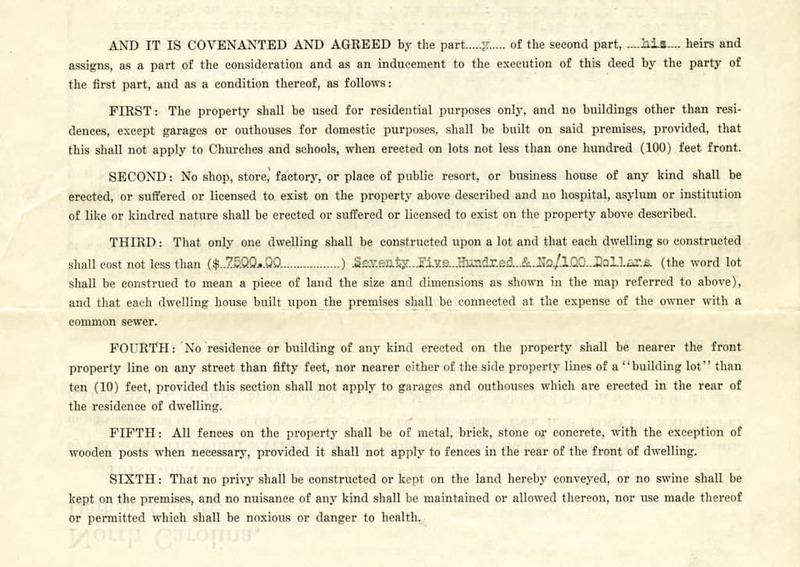 Racial deed restrictions were ruled illegal in 1948, but their language is still on the books today. 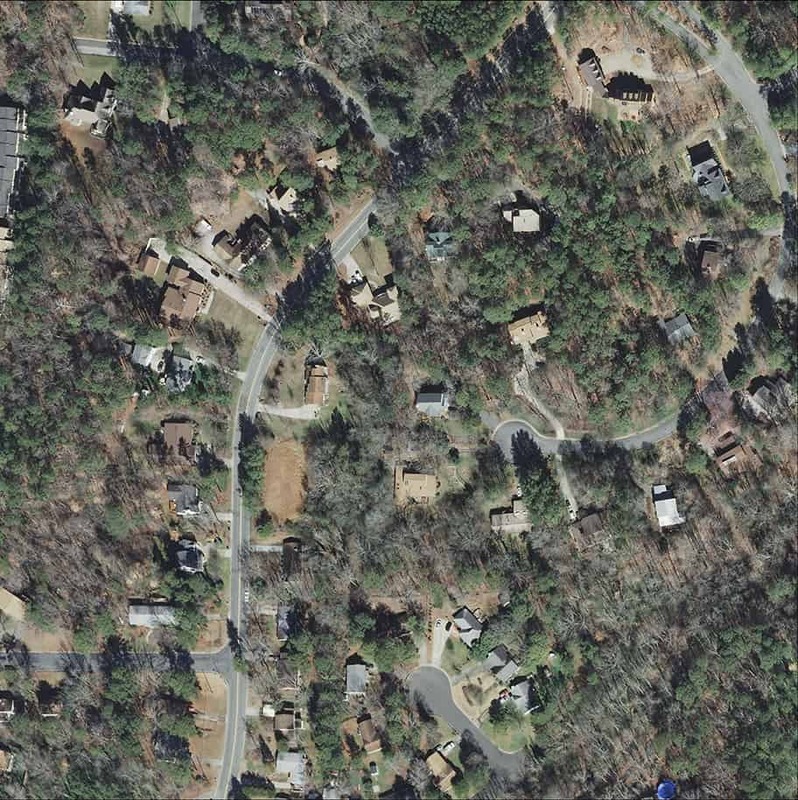 These present-day aerial photographs show how deed restrictions and zoning led the Walltown (left) and Hope Valley (right) neighborhoods to develop very different landscapes. 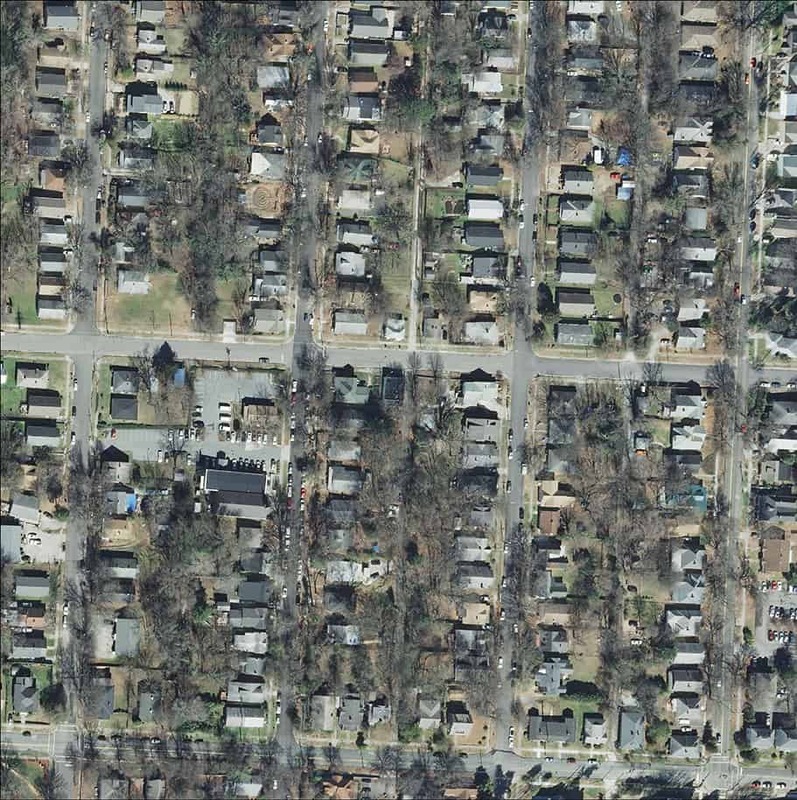 What differences do you notice about the streets and houses in these two neighborhoods? 6C. Steering And Real Estate..